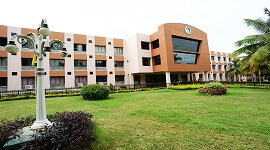 Kasturba Medical College (KMC), Manipal is ranked #1 in Karnataka and # 7 in India with AAAA status. 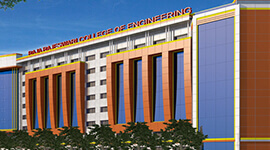 KMC was the first self financing medical college in India. 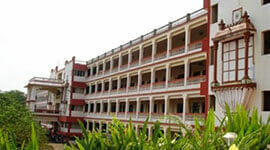 KMC, Manipal has consistently been ranked top 10 among all medical colleges in India. 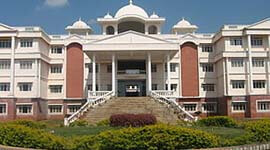 KMC is affiliated to Manipal University in Karnataka. 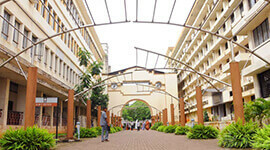 In 1969, Kasturba Hospital was started along with clinical program in Manipal. In December 2011, Kasturba Medical College and Hospital of Manipal, and Manipal Hospital of Bangalore are the first in the country to receive accreditation of Human Research Protection Programs (AAHRPP). The Manipal anatomy and pathology museum recognized as one of the best in Asia with the collection of nearly 3000 original specimens. To facilitate treatment of wide-ranged medical and surgical diseases, Manipal Hospital is fully equipped with state-of-the-art diagnostic and therapeutic departments. The hospital is also well equipped with advanced and sophisticated coronary bypass and open-heart surgeries as well as kidney transplantation. 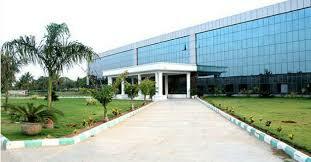 Manipal Hospital has a 280-bed cancer research centre and hospital, located adjacent to the main hospital premises. 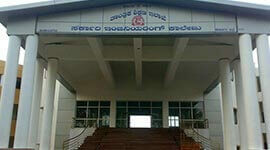 The hospital renders services to a large number of people from not only Karnataka, but also from around the country. Manipal Hospital also provides range of special health care schemes like Medicare and the Manipal Health Plan in addition to provide normal course healthcare. 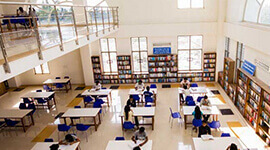 The university’s central library is one of the largest in Asia with modern facilities extending in 6 floors, spanned over 150,000 square feet and can accommodate 1300 users at a time. Along with the Central Health Sciences library, there are separate departmental libraries with all modern facilities inside the library. The campus has Wi-Fi hotspots connectivity within the campus. All the students in the campuses are provided with laptops. At the India Today Aspire Education Summit, 2012, held in New Delhi, hostels across all the Manipal campuses were recognized as the best and luxurious in India in the education sector. The food courts at Manipal campuses have a combined seating capacity of 3,000 students. The food courts also housed popular brands like Subway, Barista, Chef on Wheels, Saiba, Asian K Flavor, Hangyo, etc. Kasturba Medical College, Manipal is also actively involved in research in medical sciences with number of research projects, publications, conferences, seminars and other activities. Following are some of the outputs of research: 3604 Journals & Research Publications, 543 Books Published, 643 Ongoing Research Projects, 489 Workshops/Seminars, 224 Clinical Trials, Rs. 93 lakhs plus worth of Research Grants. Foreign students, other than who are qualified with CBSE or ISCE or any other Indian Board qualifications, should obtain the ‘Equivalence Certificate’ from Association of Indian Universities, New Delhi to equate their qualifications to the 10+2 of India. This certificate will have to be submitted at the time of admissions. Student research program for undergraduate students. Ranked #1 in Karnataka and # 7 in India with AAAA status. First in India to receive accreditation of Human Research Protection Programs (AAHRPP). Anatomy and pathology museum is one of the best in Asia with 3000 original specimens. Manipal Hospital has a 280-bed cancer research centre and hospital. Central library in 6 floors and spanned over 150,000 square feet. Best and luxurious hostel facilities with Wi-Fi connected campus. Medical Simulation Center for medical education and research. 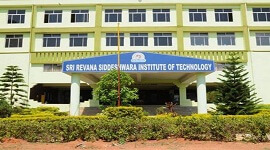 Ranked 1st among Research Publications by private universities in India. 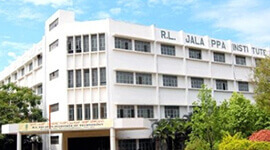 Ranked 2nd among top 5 private medical colleges in India. 100% scholarship for EWS (Economically Weaker Sections). 3.2 acres of world-class sports complex. Equipped with grants of Rs 9.5 million for research and innovation in medicine. Department of neurology has EEG/ENMG labs. Manipal Indoor Sports Arena (Marena), a 6-storey sports complex. Huge museum for anatomy and pathology. Wi-Fi hotspots spread across the campus and laptops provided to students packaged with all campus services. Encouragement for sports and games with Marena and huge indoor stadium. Central library with 15,000 square feet 6-floor building to accommodate 1300 users at a time. Secured campus with strict anti-ragging and grievance. Medical Research with 3604 Journals and Research Publications, 543 Books Published, 643 Ongoing Research Projects, 489 Workshops/Seminars, 224 Clinical Trials, Rs. 93 lakhs plus worth of Research Grants.